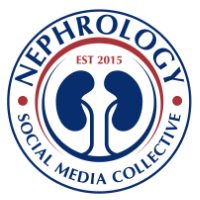 Nephron Power: IN THE NEWS:- Cardiorenal syndrome or renocardiac syndromes? IN THE NEWS:- Cardiorenal syndrome or renocardiac syndromes? We do see a lot of times dysfunction of one organ affecting the function of the other. The triad of decreased kidney function, therapy resistant heart failure and diuretic resistance has been termed now cardiorenal syndrome.